CT stands for computed tomography. It is really a more detailed and specialist type of X-ray. The CT unit is linked to a sophisticated computer that builds up lots of very detailed images from inside your body. Having a CT scan is completely painless. The scanner is shaped like a doughnut. It is about three feet wide and is open at both ends. All you need to do is lie still on a table, which slides into the scanner. If necessary, your head and neck will be supported. The scan usually lasts from 15 to 45 minutes, but it depends on the area to be examined. 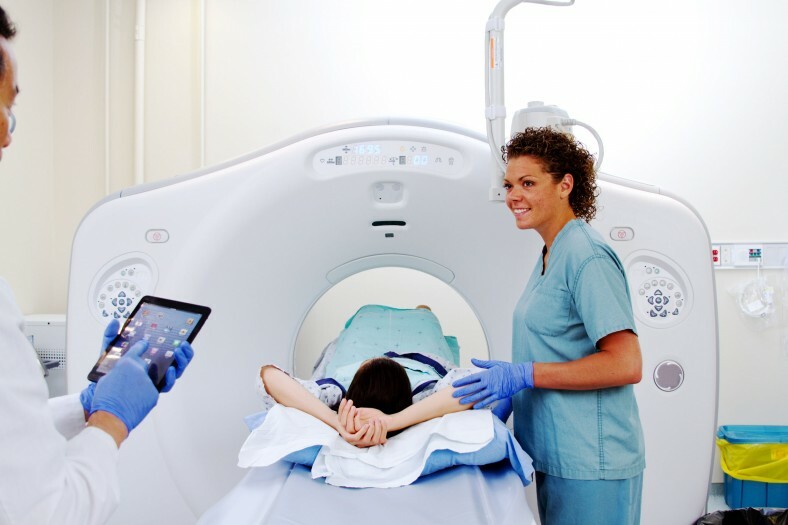 If you need a CT scan, your local scanning department will offer you more detailed written information. When you go for your scan the radiographers will do their best to help you relax. Preparation for a CT scan can vary from patient to patient. The x-ray department, your doctor or nurse will tell you what you need to do before you go for your scan. You might be asked to drink and/or have an injection of dye. This allows the doctor to see the area being scanned more clearly. If you are allergic to iodine, fish or dyes, you need to tell the person doing the CT scan in advance, as you may not be able to have the dye, drink or injection. Have had any problems before with any type of X-ray or radiology examination. Remember you will not be enclosed in any way and most people do not find having a CT scan a problem. It can take some time before a full report is available to your consultant. Make sure you arrange an appointment to get the result. Sometimes, more information might be required or for some reason the scan may not be as clear as it should be. If this is the case, you will be asked to return for a repeat scan.